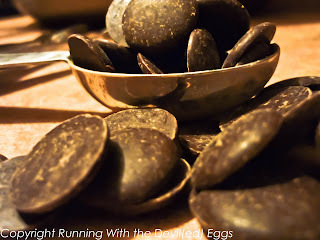 Running With the Devil(ed)....Eggs That Is: 200th Post! Puddin All the Way! Ohhh its chocolate craving season! You'd think with Halloween just past that I woulda filled my quota of chocolate overload - nope. This time of year makes me think of peppermint bark, rum balls, chocolate peanut butter balls, truffles not to mention a nice rich piping cup of hot cocoa with a little whipped cream on top...oh this list could go on for miles really. So I'm just gonna stop right there and let you come up with your own favorite chocolate treats while I take a big ole spoonful of the chocolate pudding I just made. That's right, I made pudding. And not from a box, Bill Cosby didn't endorse it (although I bet if he would have had a little nibble he'd forget Jello ever existed). This recipe isn't my own, I used one I found on Allrecipes.com because I lacked cream, and I am woman enough to admit that I have never made it without it and I wanted to see what the difference was (other than higher fat content) and required some direction. Personally I have to tell ya that I prefer it this way, sans cream. which just heightened the taste to new levels and made my less than 20 cents a serving dessert probably closer to 1.20! Oh, and we threw a little in some popsicle molds for tomorrow too - can you say fudgesicle? In your pot whisk together the sugar, cocoa, salt and cornstarch. On medium heat slowly whisk in the milk and bring to a boil, stirring constantly. Once it is thick enough to coat a spoon remove from heat immediately and stir in the butter, vanilla and chocolate. Place in a heat proof bowl and cover with plastic wrap right on top of the pudding. Congrats on your 200th post! 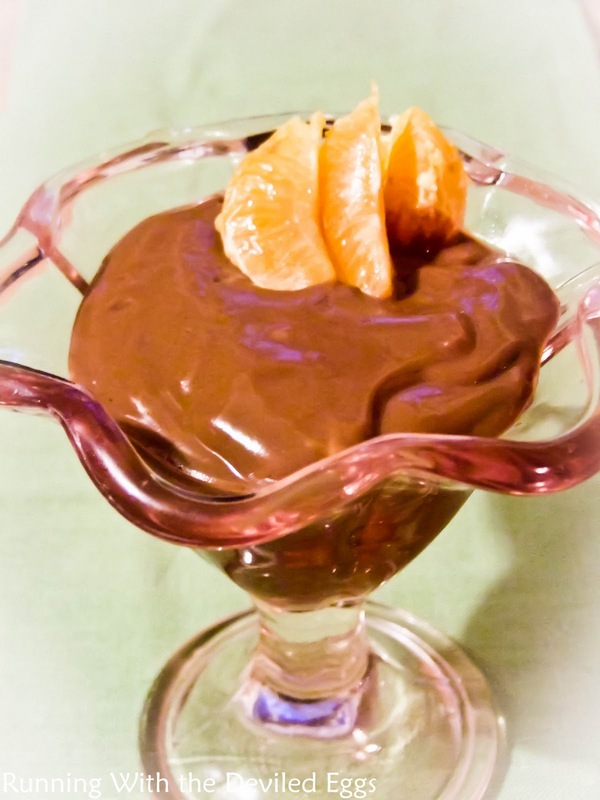 Your pudding looks delectable! Wow, that looks perfect and creamy! :) Great recipe, I hardly ever see anyone make pudding from scratch anymore. Yay hooray on your 200th post! That's a lot of cooking, writing and food photos -- thanks for sharing them with us. Looking forward to more!